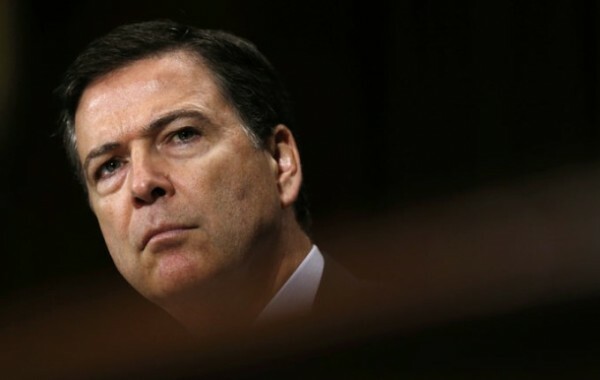 The noose around the neck of FBI’s James Comey career is tightening. It is amazing that he is still the Director of the FBI. The following contains a multitude of allegations against Comey and anyone of them should be grounds for removal from office followed by criminal prosecution. On the surface, Comey’s previous refusal to fully cooperate with Congress seems inexplicable at this point, unless you consider the character and lack of integrity of James Comey. If the Clintons are Bonnie and Clyde, then Comey is John Dillinger. How does a man with absolutely no law enforcement experience become the head of the most modern crime fighting organization in the United States? The simple answer is, Comey is complicit in Hillary Clinton’s aerial criminality. 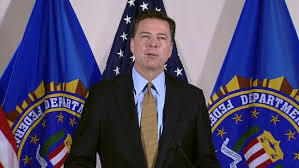 While serving in the capacity of FBI Director, Comey has turned this organization into Hillary Clinton’s lap dog of personal protection and has helped her evade criminal prosecution. If Fox News is really after Clinton, then one would think that they would begin to impugn the integrity of James Comey and for the life of me, I cannot figure out why they have not, because for months since so much verifiable criminal evidence against Comey has surfaced, Fox News is continuing to ignore what is publicly available.. In fact, James Comey is committing perjury before Congress when he claims that Trump has no proof of Obama’s wiretapping against Trump. Comey knows that Trump is being accurate, and the evidence it omnipresent! This week, Judge Napolitano has been removed from Fox News for repeating the President’s allegation of wiretapping against Obama and his minions. There is no question that the wiretapping took place. First, and as Steve Quayle just told me in a soon-to-be-released interview, EVERYONE is illegally wirtapped. Yes, since at least the days of George W. Bush, every American is wiretapped on every form of communiation and I don’t care how you dress it up, it is a violation of the 4th Amendment and the illegal evidence gathered is sometimes boot-strapped into violating the 5th Amendment Due Process provisions of the Constitution. Therefore, just based on this fact alone, Napolitano and Trump are accurate in their allegations against Obama. But wait, there’s more. In the following short video, I detail how we know that President Trump is accurate in his wiretapping allegations. Here is a short interview I did with Paul Preston of Agenda 21 Radio in which he lays out the long criminal association between the Clintons and Comey which dates back to the 1990’s. Please not the background noise. You are listening to an interview between two experienced talk show hosts. If we had heard the background noises that have been externally imposed on this interview, one, or both of us, would have stopped the interview and immediately called attention to it. In the same manner as my interview with Josh Coy, these noises were implanted AFTER the interview took place. This adds legitmacy to what Paul Preston is saying. The globalists do not want the public to know the long criminal history between the Clintons and James Comey because they would then understand why Comey is running from revealing the truth about the alleged wiretapping of Trump by Obama. The following interview is to be taken very seriously by the people, background noise notwithstanding, if one wants to understand the dot-connecting criminal cabal that permeates our government. One has to realize that the Deep State is alive and well in the FBI. The FBI, who else would it be, imposed background noises of clanging dishes, a muffled drum, people in a crowd talking, and the muffling of Paul’s message at key points. When I am in my office doing interviews, we can take out the noise even when it is externally imposed. However, and unforturnately on the road, which is where we are at for this interview, we do not have that remote capability at this time because this interview was a straight Skype recording. To recap Paul’s message, Comey has a long association with the Clinton crime family in which he has assisted in bailing out the Clintons for their past illegal deeds. The listener no doubt heard Paul refuse to answer the question on why Comey was retained as FBI director by President Trump and where this is going. He is obviously aware of something that is actively in the works that involves Comey and the Clintons. One can only speculate, but my mind immediately went to Pedogate. This is only a guess, but this is the only time that I have interviewed Paul Preston where he did not answer each and every question in a forthright manner. The content has to be absolutely huge. Breitbart held lightening in a bottle in several discoveries the new organization made about Comey that should have disqualified him from being the FBI Director. Here is a summary of Breitbart’s evidence that surfaced vs. Comey during the coure of their investigation. Additionally, Breitbart also came to the following conclusions during the height of the Presidential campaign. James Comey’s brother, Peter Comey, works for the Clinton Foundation. Peter Comey, through Procomredesigned the FBI building. If you think there is anything neutral about any previous investigation into Hillary Clinton’s criminal background, think again. All of this information surfaced in September of the 2010 and was buried by the MSM. Please allow me to reintroduce you to John Cruz. 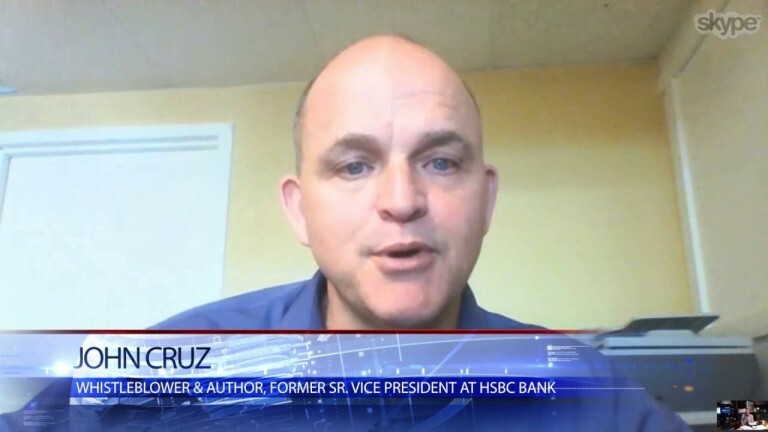 According to this former Senior VP of HSBC Bank, John Cruz, he states that the Clinton Foundation profited from HSBC’s terrorist affiliations related to money laundering at the bank. The above radio interview was conducted on The Common Sense Show on 7/31/16. I previously documented how FBI director Comey served on the Board of Directors at HSBC during the time of the coverup of the criminal activities. Comey is not the only senior federal government official implicated in the crimes of HSBC either through participation or coverup. In a previous radio interview, I asked Cruz about Comey and he was aware that Comey had been on the board of directors at HSBC bank and was responsible for “moving money”. We now know that moving money meant, in part, involved moving money to the Clinton Foundation. Therefore, are we surprised that Comey gave Clinton a free pass for her illegal emails? Additionally, should we be surprised that Comey heavily redacted emails sent to Congress regarding Clinton’s perjury in her testimony to Congress. Comey should be in jail for obstruction of justice. The above, including the radio interview, should answer the question about why Comey would heavily redact FBI documents related to Clinton’s alleged perjury when being interviewed by the FBI. Simply put, if Clinton goes down, so does Comey. Additionally there will be another former federal casualty as well and her name is Loretta Lynch, the Attorney General. It was widely reported, even in the MSM, that she held a private meeting with Bill Clinton in Phoenix during the height of the so-called email investigation of Hillary. They are all part f the same organized crime family. Loretta Lynch, guilty of obstruction of justice. And we are surprised that she would not prosecute Clinton for the emails? Cruz went far and wide with his allegations that HSBC Bank laundered money for terrorists and the drug cartels. DHS told him to go away. Manhattan’s District Attorney’s told him that this would cost him his job, and that is if he was lucky. The head of the New York Eastern District covered up the crime as well, after Cruz provided her with irrefutable prof of his allegations. And who was the head of the Eastern District of New York? Why, it was none other than Loretta Lynch, the current Attorney General. Lynch, to cover her legal behind, actually found HSBC guilty of violation the “Banking Secrecy Laws”, but ignored the 800 lb. gorilla in the room, the money laundering and the violation of national laws on terrorism. I asked Cruz why Lynch would pursue the one charge and not the other. He told my audience that she could prosecute on a far lesser charge to make the more serious charge go away. This XYZ affair (Clinton, Comey and Lynch) is a house of cards. If Clinton is taken down by Congress, Comey and Lynch are headed to prison for obstruction and being an accomplice after the fact. Comey could actually be charged with money laundering and “trading with the enemies” act. The two prosecutors should simply be charged with making a deal with either Comey or Lynch in order to bring down Clinton. I am told by one of my sources that this indeed the strategy and Comey is being backed into a corner. To be fair, this unnamed source, is not connected to Paul Preston. If I were a special prosecutor, in one room they bring in Loretta Lynch. In an adjacent room, they bring in James Comey. Special prosecutors interview both suspects at the same time. The offer is simple. The first of the two that offers testimony that will bring down Clinton, with regard to money laundering, trading with the enemies act, funding her presidential campaign with foreign (terrorist) money through the Clinton Foundation, and multiple counts of perjury, gets the nicer prison cell. Further, Donald Trump needs to relentlessly repeat these events in the public. The dumbed down sheep who get their news from CNN need to be confronted with the truth. The GOP needs to make these events their continuing mantra. Let confirmation bias take its course. The American people are ready for the truth. The American people are tired of the politicians and their lies, manipulation and corruption. COMEY IS THE KEY TO UNLOCKING PEDOGATE. PEDOGATE IS THE KEY TO EXPOSING THE RUTHLESS CRIMINAL CABAL THAT IS THE DEEP STATE. EXPOSING THE DEEP STATE IN PLAIN VIEW MIGHT WAKE UP THE SLEEPING MASSES AND THE PUBLIC FINALLY REALIZES THAT THEIR CHILDREN ARE NOT SAFE UNDER OUR PRESENT DEEP STATE LEADERSHIP.